It has come to our notice that Mr. Anjal Niraula has been misleading about his position as brand ambassadors of different organizations and contact other participants and people in relation to Glocal via his Facebook Account and asking for money to take them for a tournament to Spain. He has been terminated from Glocal Teen Hero Platform and also dethroned from Top 6 finalist of 2016 on the date of 18 January 2018 due to similar acts. While being judged for Glocal Teen Hero Platform in 2016, he was working well in developing schools in rural Nepal and it was well justified to our then jury board and he was selected, he continued working for the betterment of education in rural Nepal. However, it came to Glocal’s notice that he has started misleading people and Glocal Terminated him from top 6. Glocal works with a lot of teenagers and youth and till date we have recognized 52 real teenage change makers who have influenced lot of lives and brought impact on society. However, one such case of Mr. Anjal Niraula has brought all of to shock. The objective of this release is to make everybody who is related to Glocal understand that Mr. Anjal Niraula has already been terminated long ago and he is nowhere linked to Glocal or any of its partner organizers, also he is not linked to any partners, supporters, and sponsors of Glocal Teen Hero. The purpose of the Launch Event of Wai Wai Glocal Teen Hero India in Guwahati was to introduce about the project with a wider perspective to the audience and to raise awareness and understanding about the need of such project and the difference it makes to the lives of the teenagers by showcasing the stories of past teenagers. The event shared the news of a positive collaboration for the betterment of teenagers & youths, cross the border and aware the people about the proud moment for the nation that something has been initiated from Nepal to flow towards India. 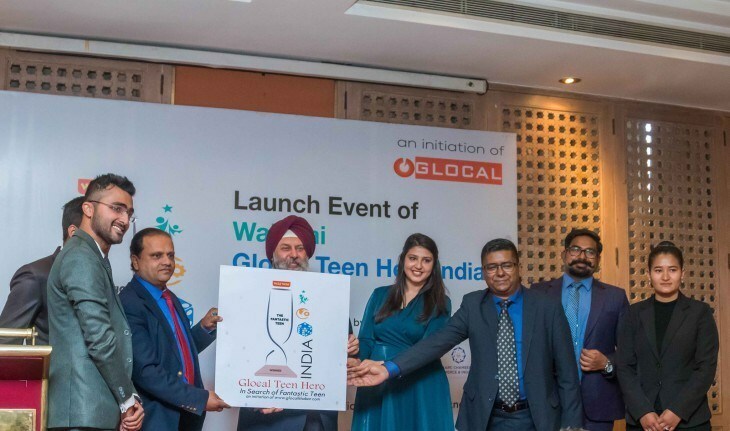 Previously on January 27, 2019 Wai Wai Glocal Teen Hero India was launched in Delhi. The event was organized on the presence of Asish Thakur- Executive Director of Glocal Pvt Ltd; Kajol Jha Thakur- PR Manager of Glocal Pvt Ltd, Project Lead- Glocal Teen Hero; Debashish Chakraborty, Senior Marketing Manager, CG India and Biswadeep Gupta, Managing Trustee, KRC Foundation. One of its own kind, “Glocal Teen Hero Nepal” is an initiation to recognize the teenagers who have initiated, achieved outstanding activities to create a ripple effect in the society. GTH motivates and encourages the teenagers to step out of their comfort zone, be creative and develop entrepreneurial thinking by providing them national recognition and empowerment. Asish Thakur, Executive Director, Glocal Pvt. Ltd shared -“We want our youths to be the visible support of the social change and I believe GTH is connecting the dots in this process. We are planning to outreach our initiation to as many South Asian countries as we can before 2020” at the event. The applications for Wai Wai Glocal Teen Hero India have already opened from January 15, 2019, and closes on 2nd of April. The main event is said to happen on 20th April 2019 in Guwahati, India. With an aim to organize South Asian Glocal Teen Hero in 2020 in Kathmandu, Nepal; Glocal is moving forward to have Glocal Teen Hero in every country across the South Asian Region to organize the first-ever recognizing teenager’s platform in South Asia. The initiation now starts from India. Kathmandu, January 14, 2019: Glocal Pvt. Ltd. launched Wai Wai Glocal Teen Hero India today at Soaltee Crowne Plaza. Glocal Teen Hero is an initiation to bring out the teenagers who are doing something from the shadows and create a ripple effect of motivation and impart a message that a lot can be done by anyone and also to appreciate and recognize the teenagers. The conference incorporated an introduction session of featuring the project by Cajol Jha (PR Manager of Glocal Pvt. Ltd.; Project Lead, Glocal Teen Hero) followed by the speech of Biswadeep Gupta (the Managing Trustee of KRC Foundation) on his perspective towards taking the lead of making GTH India happen. Deepak Raj Joshi (CEO of Nepal Tourism Board) also shared his insight regarding partnership of NTB for GTH India. The event had the presence of, H.E. Manjeev Singh Puri, Ambassador; Nirvana Chaudhary, MD, CG Corp| Global; GP Sah, CEO, CG Foods; Mr. Deepak Raj Joshi, CEO, NTB, and Mr. Dogus Khan, CEO, CG Communication. 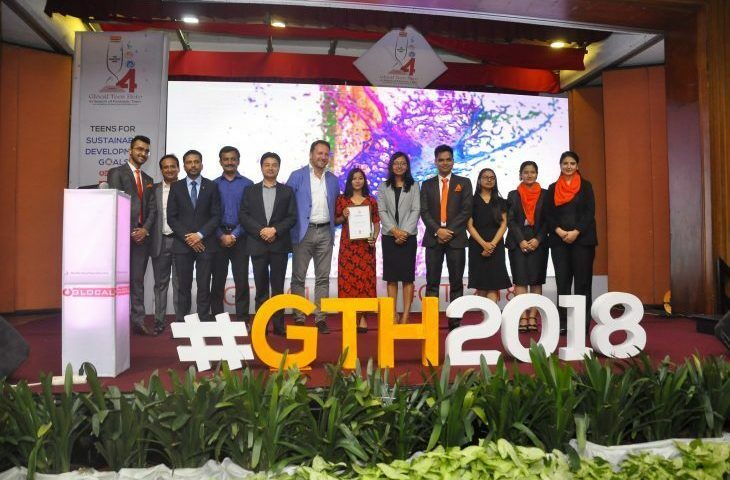 Apart of these, there was also a presence of Jury for GTH Nepal, Partners, representative of KRC Foundation (The local body for organizing GTH India), Representative of Glocal and the presence of Embassy of India. The applications for Wai Wai Glocal Teen Hero India will be opened from January 15, 2019 and closes on April 2nd. The main event is said to happen on 20th April, 2019 in Guwahati, India. Kathmandu, September 2, 2018: Prashansha KC was felicitated Wai Wai Glocal Teen Hero 2018 on 1st of September, 2018 at Soaltee Crowne Plaza, Kathmandu. The award was handed by Honorable Minister of Labour, Employment and Social Security- Mr. Gokarna Bista and all the jury members. Prashansha is an enthusiastic Youtuber, film maker, social activist and poetess. On September of 2017, she, on behalf of World Experience Foundation, initiated a project to spread awareness about kidnap marriage and child marriage. She created a document art about this campaign with purpose to educate, aware and encourage the viewers to make changes in their society. Further, she is planning and designing a project called ‘A Word A Step Ahead’. This year’s competition had received over 532 applications, from fascinating teenagers demonstrating the diverse potential of this often under looked age-group of people. The applicants had demonstrated their skills and expertise, and made an impact in their society, from areas like social work to journalism, from mobile app development and computer programming, to robotics, and from entrepreneurship to community development among others. Prashansha was selected from among top 6 finalists in the competition viz. Bikalpa Dhungana (19 years, Inventor, Tanahu), Deepshikha Ghimire (18 years, Writer, Makwanpur), Prashansha KC (17 years, Social Activist, Rukum), Saugat Tiwari (19 years, Entrepreneur, Chitwan), Sudarshan Subedi (19 years, Ecopreneur, Okhaldhunga), and Swornim Shrestha (17 years, Social Entrepreneur, Sindhupalchowk). Glocal Teen Hero is the only national platform in Nepal to recognize and honor the outstanding teenagers. It is a platform for Nepali teenagers to share their initiation, creativity, and enthusiasm which will then motivate them and more of the other teenagers in the nation to develop an entrepreneurial thinking. This is the fourth edition of the first ever program designed in the country to recognize dedicated, passionate, and innovative teenagers so as to encourage their initiatives. Bipana Sharma, a 17-year old child rights activist from Sunwal, Nawalparasi, and Santosh Lamichhane, young robot inventor were felicitated with the First and Second Glocal Teen Hero awards in the years 2015 and 2016 respectively. Similarly, Sachin Dangi, 18, Social Activist was felicitated Wai Wai Glocal Teen Hero in 2017. Started from inside the Kathmandu valley only in the year of inception, the competition this year had reached out to teenagers nationwide and conducted interactive sessions in various schools, colleges and communities. This year, the total reach to teenagers was 50,000+ after conducting activation and information session in different schools and colleges of Nation. To make the program a grand success, this year, Glocal has partnered with Wai Wai as a title sponsor. It is promoted by SAARC Chamber of Commerce and Industries and Nepal Tourism Board. European Union and UNDP are the Strategic Partner, Soaltee Crowne Plaza is the initiative partner. Likely, Coca-Cola, VOITH, Panchakanya and Honda as Partners, Turkish Airlines and Yeti Airlines as Airlines Partner. In addition, Prisma Advertising as Creative Partner and Sparrow SMS is the SMS Partner. The initiative is supported by Tara Air, Landmark education, Worldlink, IMS Group, IME, AYON, YUWA, Restless Development, Facts Nepal, SmartDoko, View Your Choice, YesClub Nepal & Khubiliti. Partnership with various such organizations working on youth-segment helped the program reach every nook and corners of the country, and ensured no teenagers having talents and potential were left-out from the competition. The selection was based on their resume, the evidence and an essay on their accomplishment. These six teens also went through a six-days-long capacity building workshop, trainings, corporate visits and recreation. After SMS voting round, the finalists were then individually interviewed on the basis of attitude, vision and aptitude by the panel of judges and Prashansha KC was declared as the Fantastic Teen for the year 2018. The action-packed award ceremony held at Soaltee Crowne Plaza today was attended by 250+ personalities of Nepal from different walks of life, such as diplomats, politicians, film stars, entrepreneurs, educators, youth leaders and many more. Similarly, Glocal also organized the second edition of Wai Wai Presents Glocal International Teen Conference on September 1, 2018. Wai Wai Glocal International Teen Conference (GITC) is an international conference for teenagers in Nepal and abroad. GITC is an opportunity for teenagers to authentically address issues that are important to them without having to overcome generational barriers. The conference showcased the ideas, experience, and stories of the teenagers from different countries like India, Afghanistan, Bangladesh, Nepal, Jamaica, Ghana, Vietnam, Bangladesh etc. through series of panel discussions and presentations. The panel majors on Entrepreneurship, Empowerment and Socio-Perspective. The main objective of this conference was to be the platform of the Global Teenagers’ Meet and set an example of teenagers who have worked in countries with more difficulties and spreading a positivity that things are possible with efforts. It is a platform for knowledge and experience where teenagers can learn about leadership, empowerment and social impact through a participatory and interactive environment with their peers from all over the globe.